You are daring and unique, that’s why you’ve decided to have us install elegant and luxurious marble in your kitchen. Marble can take the punishment and remain luxurious at the same time. 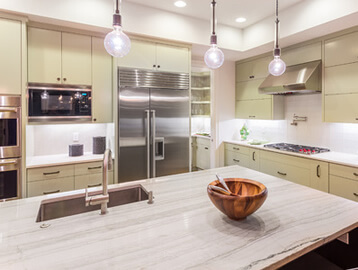 Marble stone can immediately bring new life to any room. So, since the kitchen of your beautiful Rochester home is where kids gather for sandwiches; where your girlfriends visit and sit and sip ice tea; where the guys come to drink coffee and talk about the game; and since it’s the place where the most life emanates in the home, it only stands to reason that marble is the right choice for you. And, if marble is the choice you’ve made for your new kitchen countertops, then Extreme Granite is the only choice for marble. 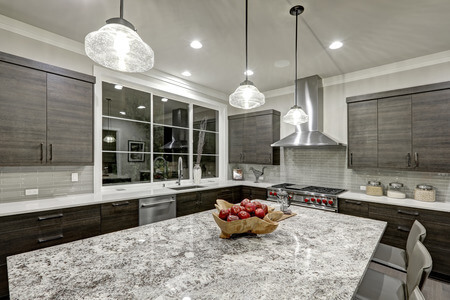 Fancy Details– Marble countertops can be fabricated to have fancy edges (as well as other profile styles), due to the softness and overall workability of marble. Cutting– If you’ve worked with marble tiles, you find that marble cuts like a dream. This allows for fancier design capabilities without the fear of damage. Decent Durability– Even with marble’s inherent “softness,” it is still hard enough to withstand high traffic. Resists Heat– It’s an ideal work surface. It is also heat resistance, lending itself well to kitchen use. Best of all marble increases your home’s value. That is something any homeowner can appreciate. Once you choose the slab you want, allow our pros to measure, cut, and install it for you. 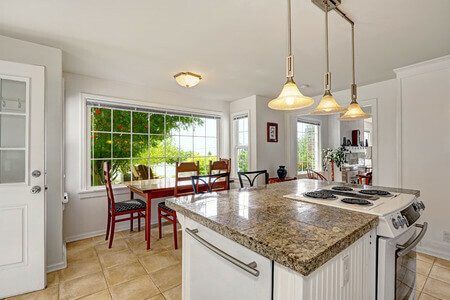 Then, all you have to do is sit back and enjoy your incredible new marble kitchen countertops. Your chosen material will be fabricated perfectly with state-of-the-art tools. 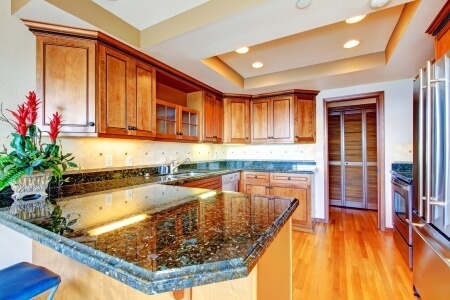 We will expertly install your new marble kitchen countertops within one week of final measurements. 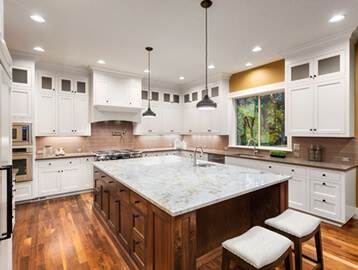 After we have completed your installation in just one day, you’ll be able to see the results of marble countertops in your Rochester home and you’ll be very glad that you contracted us to do the entire job. Call us today for a free in home estimate and design consultation. Our Granite and Marble Stone Products are just what you need to give your home a luxurious feel with quality that will last. 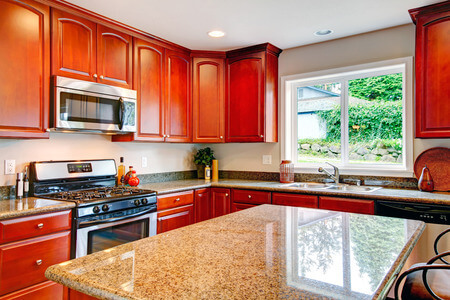 Contact our experts today for a free in home estimate.